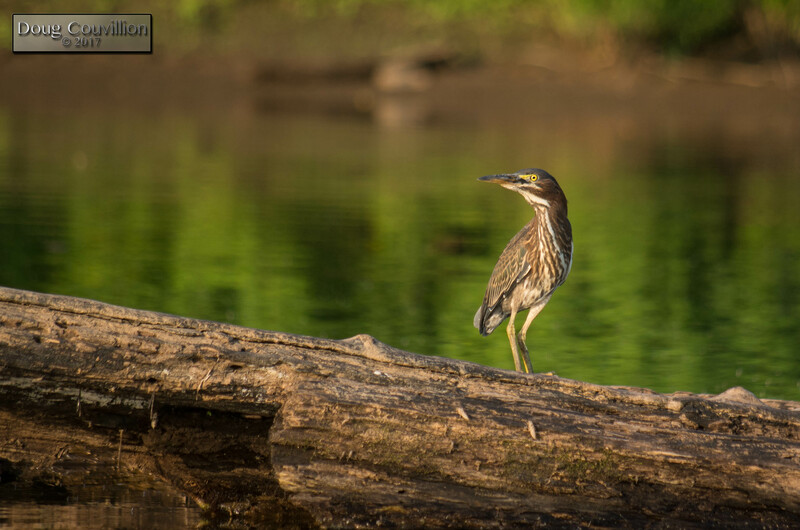 Floating past a log in the the middle of the James River, I noticed this immature Green Heron. At first I thought it was funny the heron wasn’t perched on the end of the log waiting for a small fish to swim by. Instead it was slowly walking across the log with a definite purpose. Later, as I processed the pictures of it, I noticed a dragonfly’s wing hanging out of the heron’s beak. It’s not visible in this photo but this immature Green Heron was definitely snacking on whatever it could catch. This Green Heron was sharing the log with another immature Green Heron, probably a sibling, depicted in my post “Waiting To Strike” published on August 9, 2017.